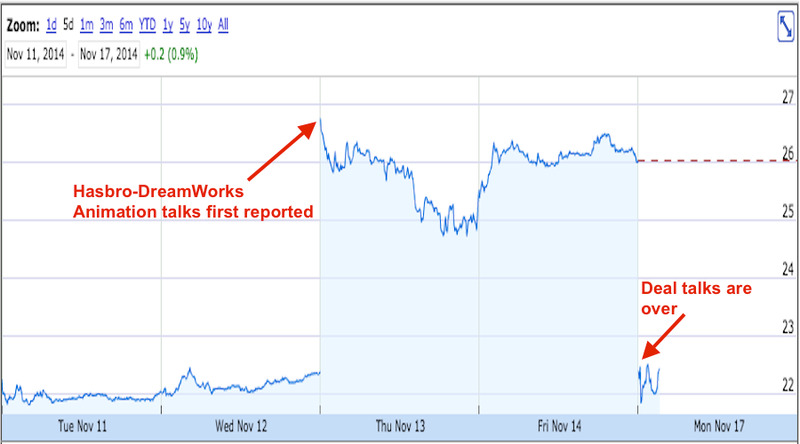 Merger talks between Hasbro and DreamWorks Animation have broken down, and now DreamWorks shares are getting smashed. In early trade on Monday, DreamWorks shares were down as much as 15% to around $US22, right about where the stock was on Thursday before talks regarding a potential merger were first reported. Late Friday, a report from The Hollywood Reporter said that talks between Hasbro and DreamWorks Animation had broken down, with the publication citing the high price sought by DreamWorks CEO Jeffrey Katzenberg. Reports indicated Katzenberg was looking for a deal valuing DreamWorks at $US30-$US35 per share. Late last Wednesday, Deadline.com reported that the companies were in talks on a potential deal, though some in the analyst community were sceptical of the deal’s logic and feasibility. This is the second time in six weeks that reports circulated regarding a potential deal for DreamWorks, only for those reports to be promptly reversed. In late September, The Wall Street Journal reported that DreamWorks and Japanese conglomerate SoftBank were in potential merger talks, though less than two days after that initial report, the Journal said talks between the two sides had cooled. 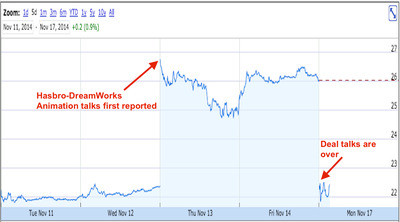 Those talks sent DreamWorks shares from about $US22 to north of $US28, but through early October DreamWorks shares lost all of their gains earned following the deal reports. 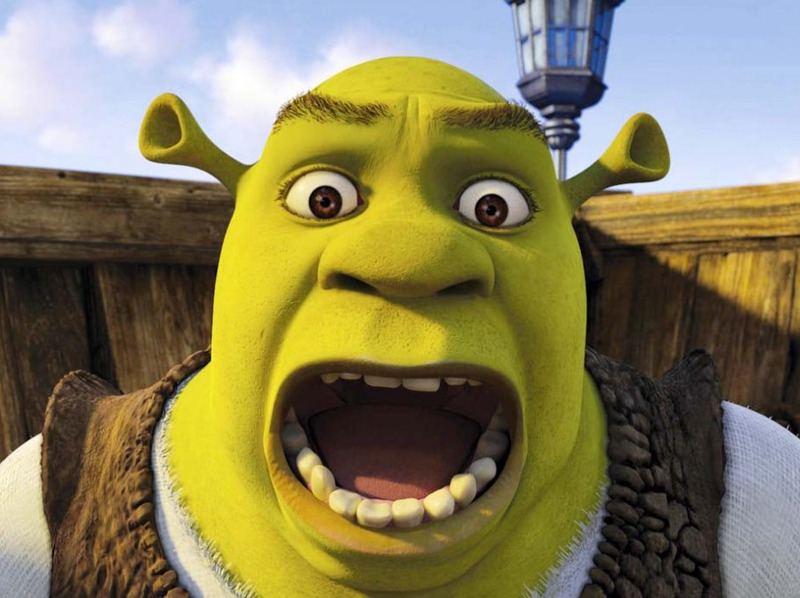 This time around, DreamWorks has forfeited its deal-report-related gains in just one day.